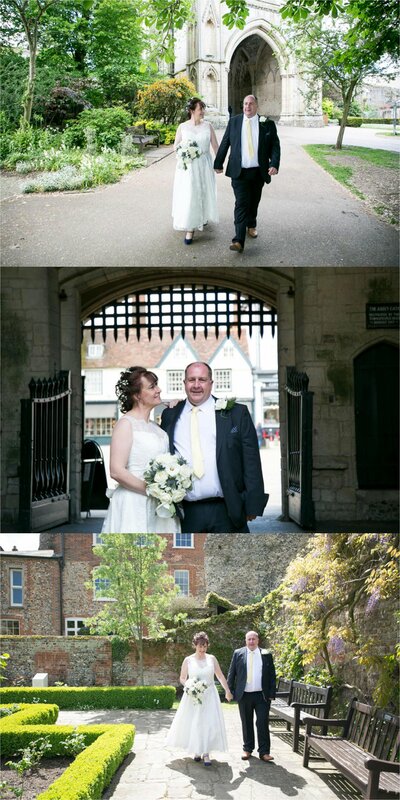 This lovely couple got married at the wonderful Athenaeum in Bury St Edmunds, followed by photographs in Abbey Gardens, and onto The Angel Hotel for dinner. 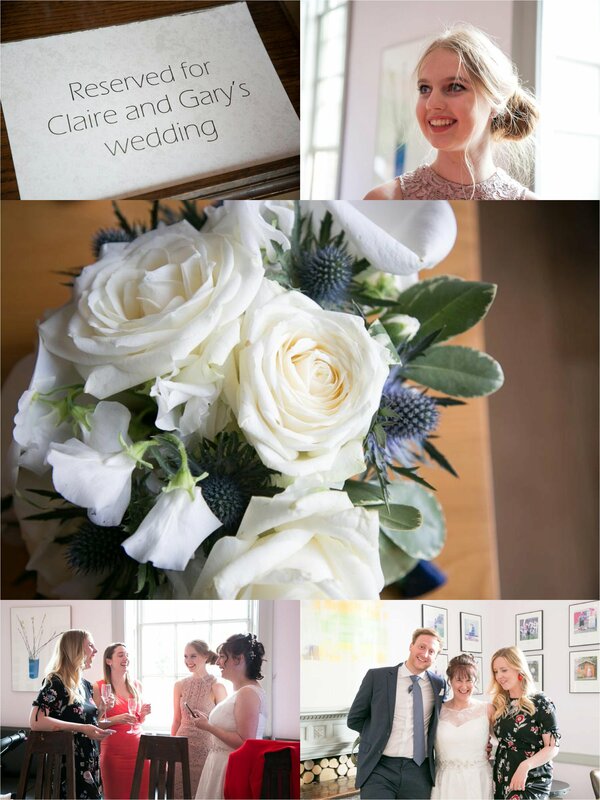 I met this couple one and a half years previously, when Claire’s niece had her wedding reception at The Athenaeum. Claire contacted me straight away to book me in for her wedding. I love it when that happens, and really makes me so happy that people have seen how I work and want to the get me on board for their big day. 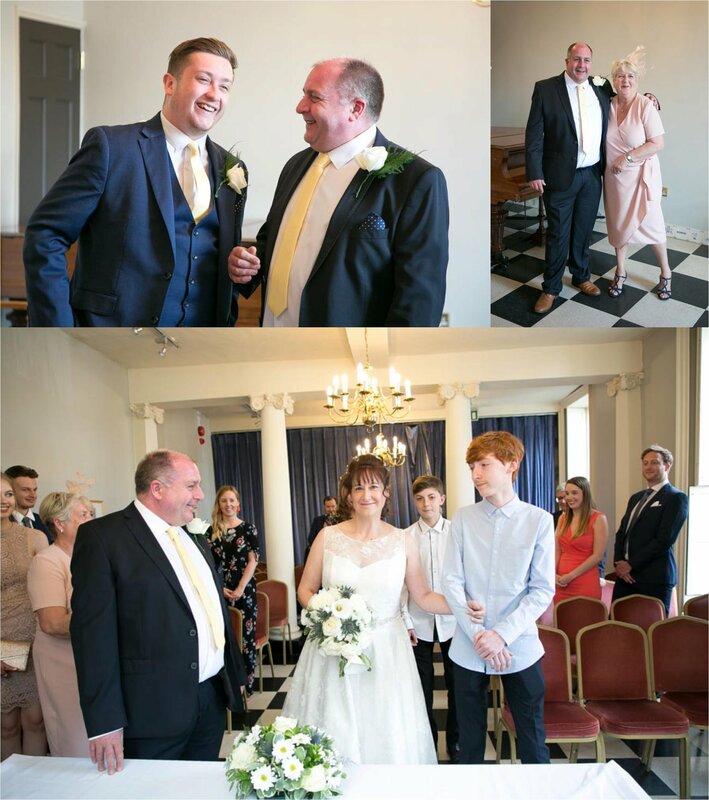 After a lovely, emotional ceremony with close friends and family, we all headed over to the Abbey gardens in Bury St Edmunds for some group photographs. 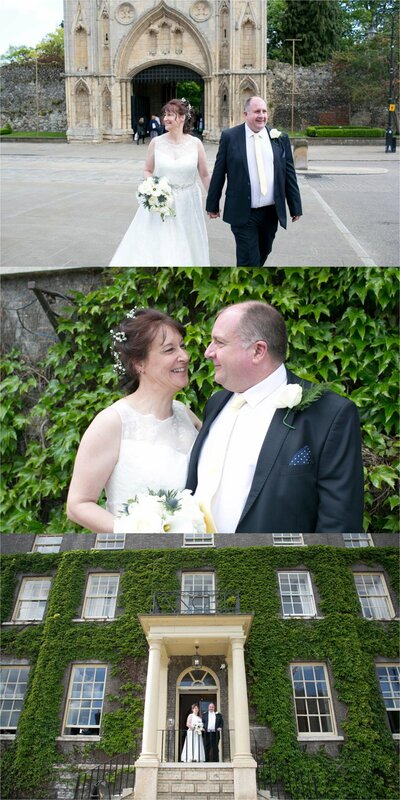 We used the lovely rose garden, and then took a stroll around the rest of the beautiful gardens to capture some lovely relaxed couples portraits. 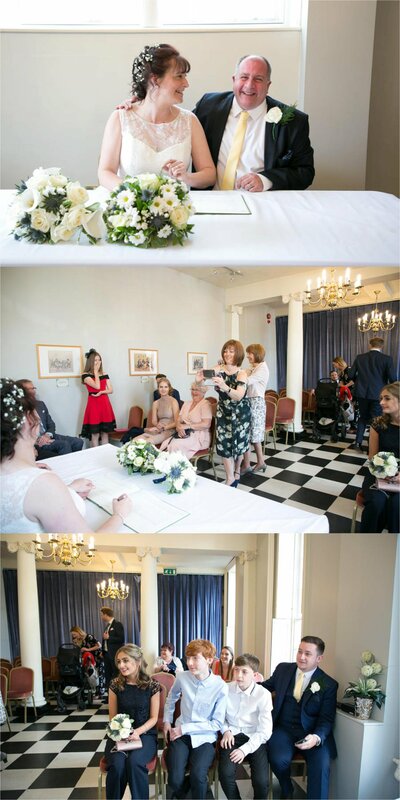 It was a small, intimate wedding and after the photographs everyone headed to the wonderful Angel Hotel. Such a stunning hotel, inside and out, I really love coming here. A private room was ready for the guests, and drinks and chatting was followed but a lovely meal. I was only with the couple for a few hours. I seem to get more and more small, intimate weddings with people just requiring a few hours of coverage. And as much as I love a full day, seeing the day through from start to end, I equally love the intimate, concentrated feel of these small days. Congratulations to this lovely couple. Enjoy the photos!